This is not just one eye disease, but a set of eye conditions resulting in optic nerve damage which may cause loss of vision. It is associated with a build-up of pressure in the eye which can happen when the eye fluid isn't circulating normally in the front part of the eye. Glaucoma tends to be inherited and may not show up until later in life. 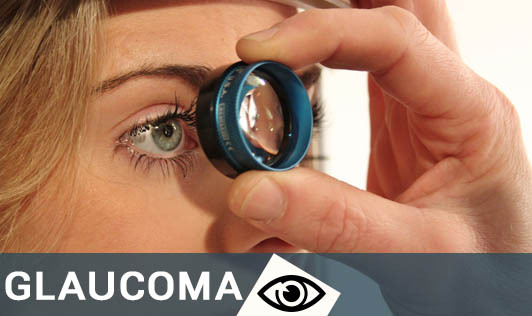 The most common types of Glaucoma include Primary Open Angle Glaucoma and Angle Closure Glaucoma. They both have completely different symptoms. The symptoms of Primary Open Angle Glaucoma include: • A gradual loss of peripheral vision, often in both the eyes • Tunnel vision in advanced stages The symptoms of Acute Angle Closure Glaucoma include: • Redness of the eye • Blurred vision • Eye pain • Vomiting and nausea • A sudden onset of visual disturbance, usually in low light • Halos around lights Both open angle and angle closure glaucoma can be primary or secondary conditions. They're generally called primary when the cause is unknown and secondary when the condition can be traced to a cause such as eye injury, inflammation, tumor, or diabetes. Please don't wait for noticeable eye problems. A regular eye check up is essential for detecting glaucoma early enough to successfully treat the condition and prevent further progression.